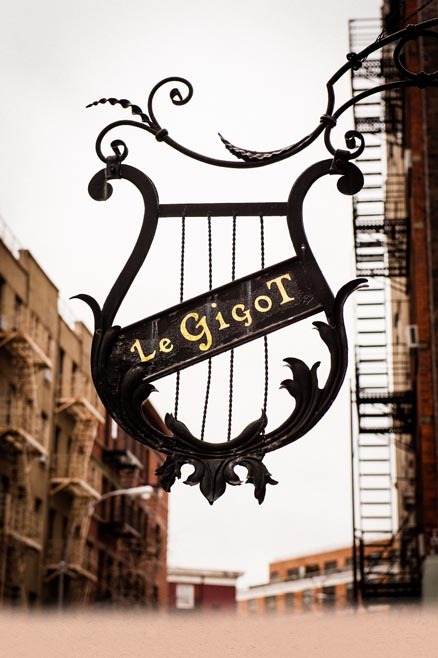 Le Gigot, opened in 1996, serves Provençal cuisine in the heart of the West Village. Chef Alioune Ndiaye continues to challenge his talent, emphasizing purity of ingredients and simplicity of preparation in his cuisine including, gigot g’agneau, boeuf bourguignon, boullibaisse, crab cakes, lobster, grilled whole fish, duck confit, lapin, poulet, and steak au poivre. Specials such as a lamb fête prepared four different ways, cassoulet, seafood risotto, pintade, and sweetbreads are prepared daily with seasonal vegetables. A petite zinc bar, banquettes, flowers, and an attentive and knowledgeable staff will transport you to Provence.